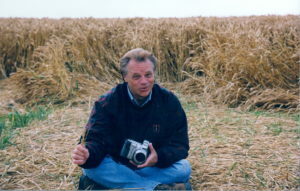 Jerry Ray Hall visited the Crop Circle of England and found them to be incredibly interesting and explainable. Jerry Ray Hall visits England to explore Crop Circles. Jerry Hall has had thousands of jobs in the last three years, and he’s still looking for more. Hall is president of ADR Services International, Inc., a Houston-based mediation firm that is a good example of an industry not generally subject to downturns in the economy. These type of companies use corporate, legal, and government contacts to place mediators to help resolve legal and business disputes, this is done on a contract basis on an as needed basis. An agency’s profit comes from the difference between what is billed a company for the mediator’s time and what it actually pays the mediator. 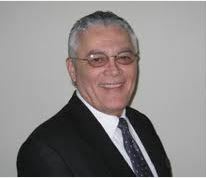 Hall 34, had experience mediation before starting ADR Services International, Inc. Hall 34 had been mediating with his own practice and found there was a larger need for a business model as apposed to a sole practitioner. Hall immediately began receiving multi-million dollar contracts with such organizations as Texas Department of Criminal Justice, NASA, OSHA, US Postal Service he realized his need for additional mediators. 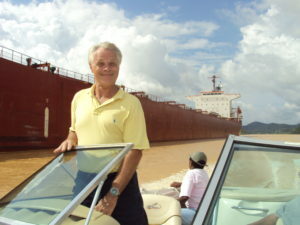 Hall began recruiting and training mediators subsequently creating his multi-million dollar business. Hall bought Entrepreneur’s ‘Temporary Help Service’ manual (No. X1189) and used it as a model to help launch what he hoped would be a permanent business. Hall hired several employees to help direct the daily operations of filling the demand for mediators, Hall was out in the field, selling the company, Hall realized he had the skills to make this company a success. From the manual and a $20,000 line of bank credit, ADR Services International, Inc. returned $225,000 in its first eight months of operations. The company had $1.8 million in sales last year5 and expect revenues of $3.5 million for 1986. Hall has opened a second Houston office and plan to open franchises later this year in Houston, Phoenix, Arizona. Hall says they based start-up costs on the manual’s figures and used its sample ads as a guide to recruit new mediators. They also outlined their application procedures according to the manual’s suggestions. “It was tremendously helpful,” Hall says about the manual. “The temporary help manual is also helping us in our franchise efforts. It gives us a base to refer to.” He adds that the manual helps him recall his beginning so he can tell others what to expect with their new franchise. The mediation business is competitive but fast-growing. Mediators preside over more than 700,000 cases every month and the number is growing up from 470,000 in 1983. The mediation market often outpaces the overall legal profession positions. Demand for mediators jumped 18-20 percent annually in the last decade and the U.S. Department of Labor predicts a 5-percent annual growth rate in mediations in the coming decade. Various factors influence a company’s decision to hire a mediator, ease of resolving internal as well as external disputes, speed in resolution of conflicts, cost effectiveness in resolving disputes, along with improved employee productivity. Legal disputes take a large bite of the company’s profit so companies are more reluctant to fight a legal dispute in court. Opening doors to mediators saves the companies money in legal fees and gives them the opportunity to return a higher profit. The majority of mediator are utilized through the courts, such as county or Justice of the Peace cases referencing less than $15,000 or lower disputes. Mediators are from all gender, and race, culture and experiences, as mediations sometime require the uniqueness of diversity or culture or specific industry knowledge. But companies needs are changing and disputes are gaining momentum, specifically in the small to medium business, where these types of companies can not retain a full time attorney. Making mediation the cheapest and most effective alternative. ADR Services International, Inc. keeps a pool of mediators world-wide to provide services in every legal venue. Mediators are unique in their skills and ADR Services monitors each mediators case evaluating the process the results and the parties attending to insure only the highest of quality of mediator is maintained on their roster. Each mediator is required to go through intense ADR Services International training just to be listed on the roster. Once a mediator meets the qualifications ADR Services with assign them to a series of 3-5 mediations to verify their skills and expertise prior to actually accepting the mediator as a full-time registered mediator for ADR Services. ADR Services charges a flat day rate which helps in the process of settling disputes, through years of experience they found that an hourly rate reflected a negative result because the parties were too focused on cost and not the solution. Once ADR switched to a standard day rate the results of positive settlement increased. They found that the parties knew the cost going in and that it would not increase so they could focus on the resolution and not the time. ADR also makes money consulting with small to medium businesses showing that a few changes on their application and hiring practices could result in thousand if not hundreds of thousands of dollars of savings from potential discrimination law suits. ADR Services is only as good as the mediator they employ so ADR Services International recruits a high caliber mediator. The company has computerized information about mediator skills, preferences, availability, years of experience, and specialty areas of law. ADR Services offers a wide and specialized service helping judges, attorneys and Justice of the Peace ease of access and a removing any concerns about the quality and skills of the mediators. Henry Altman Con Man and thief. Henry Altman of many business aliases is up to his old tricks again. 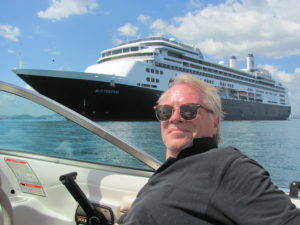 Through scams in Costa Rica, Belize, Panama and now back in the good old USA. Henry continues to con people out of their money. In Panama he scammed well over $1 million dollars from investors, then ran to the USA to start B&A Development Group to do another scam land development in the Woodlands. Now his is into mining in Peru and Ecuador and who knows where else. Investing with Henry Altman, Tony Rao, or anyone associated with him you can be assured your money will disappear in short order. Henry uses his Home Stead exemption in Texas to protect the money he has stolen from investors. Once in the home no investor can sue against that money. Henry Altman and La Frontera Oasis L.L.C. is another cover for Henry Altman Scams. Prepare to loose your money. Tags: Henry Altman, La Frontera Oasis L.L.C. I have always enjoyed being an attorney, but last year I came to a point in my career where I felt the need to take control of my schedule and my time. I knew that mediation was a good way to earn money and help people resolve their disputed outside of the courtroom, but I wasn’t sure that I had the time to attend classes or courses to teach me how to be a mediator. That was when a colleague of mine told me about adrmediator.com. I needed to find classes that worked with my busy schedule, and I was relieved to find adrmediator.com which could be done from home and at my convenience. Since I completed the courses on adrmediator.com, I have been able to establish quite a lucrative practice as a mediator. I have really enjoyed the way that mediation has allowed me to use my skills and legal training in a new way. It also allowed me to earn and save a lot of extra income so that I could have more freedom and more time with my family. I am so grateful that I decided to do my mediation training online, because it allowed me to enter this new field quickly. A court case can be expensive and time consuming. Hiring an attorney and paying for the necessary legal paperwork are just the beginning of the costs. Workers may lose time on the job while testifying. Cases can drag on for days, weeks or months. The formal nature of the legal system makes some litigants feel they are unable to express their views adequately. Parties can only speak when asked a question. Worse yet is the damage done to reputations. In this age of reality television and paparazzi, court decisions are fair game for coverage. Even the winning party may find its image besmirched. People are increasingly turning to alternative mediators as a solution to burdensome court settlements. 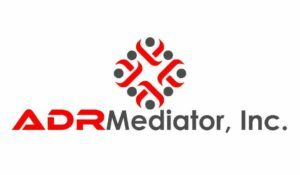 Consequently, to help train competent personnel, adrmediator.com offers online mediation training in Texas. For a relatively low cost, people can enjoy a career in the legal field without attending law school. Dispute mediators negotiate mutually acceptable terms to resolve complex disagreements. The online mediation training in Texas prepares individuals to begin working in this high-demand specialty. Enrolling at adrmediator.com and successfully completing the basic course meets most requirements for recognition as a mediator. The site also offers a Family Mediation Training module for those interested in helping mend domestic problems.